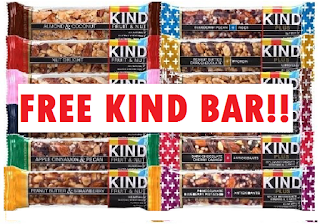 2 Free Kind Snack Bars - YUM! Update: Got mine in the mail already and they send 2 bars. I got a Coconut Almond Bar and Chocolate Peanut butter. Really good! Make sure to sign up now if you didn't yet.